Popular Sandy Springs game bar Battle & Brew is staying open after all. 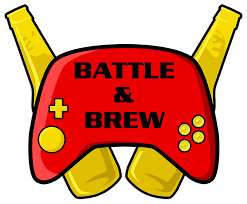 After shocking fans last month with news that they were closing, the owners of Battle & Brew found a new buyer who they are confident will continue to run they business as they have. The bar, located in the Parkside Shops shopping center on Roswell Road in Sandy Springs, should reopen "soon." The owners posted the following message to their Facebook page earlier this week: "Battle & Brew has been purchased by a new owner. We will re-open soon. More details to follow as we have them. Until then please be patient with us and follow our social media for updates." Pho Dakao Vietnamese Restaurant & Grill is opening soon in the Goodwill-anchored Cumberland Square North shopping center on Cobb Parkway in Smyrna. Batter Cookie Dough Counter plans to open Monday November 20th at Ponce City Market. The edible cookie dough shop will open in the old King of Crops stall, a roughly 350 square foot space near Honeysuckle Gelato and King of Pops. The dessert shop will offer 10 flavors of traditional and seasonal cookie dough, including sugar, chocolate chip, peanut butter, oatmeal, lemon, salted caramel and s’mores. It will also offer a gluten-free version of its chocolate chip dough and a vegan version of its sugar dough. Batter’s all-natural, preservative-free cookie dough does not contain eggs, and is made with heat-treated flour that is safe to consume uncooked. The shop will also sell dough in to-go pints. Those looking for a fully baked product will find an assortment of fresh cookies that can be paired with milk, chocolate milk or cold brew coffee. Batter Cookie Dough Counter is a venture by Atlantan Julie Abes (wife of Buckhead Life COO David Abes), who partnered with locally owned High Road Ice Cream & Sorbet to produce the dough for Batter. The owners of Columbia, South Carolina's Publico Kitchen & Tap plan to bring their concept to Midtown Atlanta early next year. Publico Atlanta will open on Crescent Avenue in place of what was most recently Front Page News. ToNeTo Atlanta was first to announce that Front Page News had closed in early October and at the time indicated they were renovating and would reopen in 2018. The original Publico is located on Greene Street in Columbia and has been in business for two years. Target announced earlier this week that it will close twelve stores early next year including one in Macon, Georgia. The Macon store, located in Eisenhower Crossing, opened in 2001 and will close no later than February 3, 2018. "We have a rigorous process in place to evaluate the performance of every store on an annual basis, closing or relocating underperforming locations as needed," a spokeswoman for the big-box retailer told CNBC. "Typically, a store is closed as a result of seeing several years of decreasing profitability," she added. News that Target is closing in Macon comes just days after Sears announced that it will shutter its Kmart store on Tom Hill Sr. Boulevard in Macon. Electronics retailer hhgregg closed its store at Eisenhower Crossing earlier this year as part of the company's liquidation following its bankruptcy filing. Taqueria Tsunami & Stockyard Burgers & Bones have opened new locations in the same building on Roswell Road just north of 1-285 in Sandy Springs. The two restaurants replace what was most recently Double Zero Napoletana before the pizza eatery closed last summer. Taqueria Tsunami will also be opening another new location in a former Caribou Coffee/Einstein Bros Bagels in East Cobb, while Stockyard Burgers will also be opening in East Cobb at the Avenue East Cobb in place of the former Brixx Pizza. The Deep End opened Friday on North Avenue across from Ponce City Market in the former 4th & Swift space. The former Wingstop and Tokyo Grill building that burned down this past June at Toco Hills was finally demolished this week. The two restaurants were destroyed in a fire and have sat vacant in the months since. The building they occupied was quite old, having originally been a McDonald's, and while the age of the building may have played a part in the fire, an exact cause was never made public. It's unclear when a rebuilding will occur, or if the two restaurants will be part of it. The former Wendy's at the corner of Roswell and Johnson Ferry Roads in Sandy Springs was being disassembled earlier this week. A new SunTrust Bank will open in its place early next year. Sunset Hills, Missouri-based Panera Bread announced earlier this week that it purchased rival Au Bon Pain. The deal reunites the two former sibling concepts. Ron Shaich, Panera's CEO, announced at the same time that he will step down as CEO effective January 1. Boston-based Au Bon Pain was sold by Panera 18 years ago. Terms of the deal were not disclosed, but Panera said it acquired the 304 unit Au Bon Pain to intensify its growth in nontraditional areas like hospitals, universities, transit centers and urban locations. The sale comes just months after Panera was sold to the investment firm JAB Holdings in a $7.5 billion deal, taking the chain private. JAB's other recent acquisitions include Krispy Kreme, Keurig, Einstein Bros. Bagels and Peet's Coffee. Au Bon Pain operates just two locations in metro Atlanta, one at Peachtree Center downtown and the other at Piedmont Hospital in south Buckhead. Au Bon Pain previously operated locations at Atlantic Station in Midtown and Allen Plaza Downtown in 2008 and 2009 respectively. Awesome for Battle and Brew!!! This is fantastic news! How is it that Taqueria Tsunami & Stockyard Burgers & Bones got Double Zero thrown out so they could move in? They sure are expanding rapidly. I have tried them several times and although I have liked them, I am never excited to go back. A smallish Au Bon Pain micro location opened a few months ago in a new UGA business school building in Athens. No food prepared onsite, looks to be simply a place to grab already prepared sandwiches and salads. Not the full experience by any means.